Introduction: Motorcycle Racing has been around for over a century and is governed by the Federation of International Motorcycling (FIM) which represents over 111 motorcycle federations from around the world. Amateur and professional motorcycle racing grown incredibly over the last two decades thanks to the amount of television coverage and the top racers who have helped promote the sport. There are different types of motorcycle racing such as road racing, track racing, motorcross, snowcross, cross country races and bajas. Motorcycling has been a male dominated sport for a long time but in 2007, the FIM decided to create a Commission for Women in Motorcycling to promote the sport amongst women. There are now 65 motorcycle world championships and prizes that are awarded every year. Motoracing was also recognized by the International Olympic Committee in 1998 and was included as an Olympic sport for the first time during the 2000 Summer Olympics in Sydney, Australia. Some of the top Moto GP tracks from around the world include Spain, Montmelo, Circuit de Catalunya, Italy, Scarperia, Mugello Circuit, France, Le Mans, Circuit Bugatti, Qatar, Doha, Losail International Circuit and Australia, Phillip Island, Phillip Island Grand Prix Circuit. Canada Betting: Motorcycle betting is common in Canada and popular sports betting websites such as Paddy Power, William Hill, 888 Sports, Betfair and Bet365 cover all of the top motorcycle racing events in the world. These sports betting websites offer both online and mobile betting services that are compatible with Android and iOS platforms. Grand Prix motorcycle racing is considered to be the premier motorcycling event in the world and these sports betting websites cover all of the racing categories such as the 600cc bikes, Moto2 and MotoGP. These events tend to attract the highest number of bets in Canada amongst all other motorcycling events. Motorcycle Racing In Canada: The Canadian Superbike Championship is one of the most popular motorcycle racing events in Canada and conducts events all across the country during the summer months. The Superbike Championship features races for Amateur Sport Bike, Amateur Superbike, Pro Superbike and Pro Sport Bike. Some of the top Canadian Superbike champions over the years have included the likes of Don Munroe, Steve Crevier, Mario Duhamel, Michel Mercier and Mitch Card. Canada has hosted the Canadian Grand Prix only once so far and that was in 1967. Even though Canada no longer has a Grand Prix, Canadians who love motorcycle racing pay careful attention to all of the international Motorcycle Grand Prix events and a number of them place bets on their favorite rides. 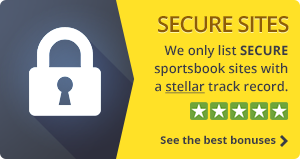 Get as much information as you can about the ride, their team and their past performances before placing your bet. There are of course plenty of different types of Motor Cycle racing events held throughout the year all over the world however, there are basically two different codes in regards to Motorbike racing with each racing event being each an off road one or a road discipline type of event. However when it comes to betting on Motor Cycle racing then there are certainly plenty of different events to bet on along with a huge number of different bet types that you can place, to help you track down the best value bets below you will find information surrounding all aspects of Motorbike racing, so do give it a read through if you are considering place a wager on and up and coming race, for there is a lot of value bets available and plenty of free bets to be found at our top rated Motorbike betting sites. What Statistics to Use When Betting on Motorcycle Races? Which is the Best Bet to Make on Motor Cycling Races? What Factors Should I Consider when Betting on Motor Cycling? 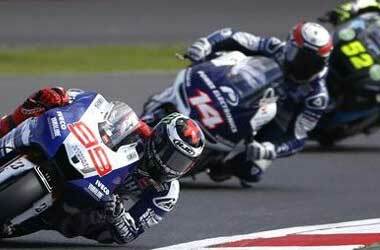 What’s the Best Motor Cycling Betting Strategy? Which Motorcycle Manufacturer Has the Most Wins? There are plenty of different Motorbike racing events head all over the world, and there are a large number of governing bodies who organise such events and races each year, some of the most bet on Motorbike racing events include those that have been organised by the Fédération Internationale de Motocyclismo who are the world governing body for the sport. You will also find events and races that have been organised by Motorcycling Australia the Auto Cycle Union, the American Motorcyclist Association and also events are held regularly as organised by both Motosport South Africa and the French governing body who are the Federation Francaise de moto. One fairly new type of wager which you can place on any Motor Cycling event is the name the winning distance bet, and when you place such a bet you have to guess and correctly predict by just how far the winner will win any one race, and this bet can offer some very large odds dependent on how many lengths you pick and of course if your selection is actually correct! You will obviously be able to place a wager on just which rider in any one racing event is going to win the race outright, and for those of you who like to bet a little more conservatively then how about placing an each way type of Motorbike racing bet, as these will see you winning a return if you chosen selection finishes the race in any of the prize paying positions. Look out for some of our featured betting sites below who are offering special types of bets and wagers on Motorbike racing events, and by checking them all out you can often find some very high valued bets on offer which will boost your winning payouts! Unlike other sports betting news and information websites, here at the Betting.ca website we only present to our website visitors betting sites that have passed our vigorous vetting procedure, and this means each site much offer fast payouts, high odds and plenty of Motor Cycling betting markets on an ongoing basis. You can bet and place wagers with complete confidence at any betting site listed below. Bet365 – There are plenty of sports bettors out there who are looking to snap up as many value betting opportunities as you can, and as such we invite you to take a close look at the Bet365 Betting site for if you join up today you can get excellent value by utilising their 100% match bonus bet, the details of which can be found on their website. Ladbrokes – Another very highly recommended online betting site and one that is not afraid of giving away some very generous offers is Ladbrokes, and for a limited time only if you sign up, deposit and gamble at their betting site then you are going to be able to claim a C$120 free bet. Paddy Power – One site that is proving to be one of the most popular betting sites for anyone looking for standard types of wagering opportunities but also plenty of unique types of bets and wagers is Paddy Power. They are always dreaming up novel types of betting markets and as such you can often find plenty of bets that are going to not only interest you but will give you plenty of enhanced payout odds, if you take then up on their new customer sign up bonus today then you will be ahead of the game straight away as they will flip you a 50C$ free bet. BetFair – You can turn you betting options upside down if you opt to join up to and start using the BetFair betting exchange, and the reason we say this is that you can now only back Motor Cycling wagers to win you can also bet to lose, meaning if you pick a rider who you think will lose, to lose, then they do you win! Checkout the BetFair website for details of how their betting exchange works and operates, and if you join up today you will be rewarded with a CAD20 Bonus. Betdaq – Another betting exchange worthy of your attention is Betdaq and new customers can claim up to CAD200 in free bets, why not get over to their website for full details of this most generous bonus offer. The Betting.ca website prides itself on presenting to you not only the best betting sites but also those that are offering the most generous betting bonuses and free bets. However be aware the Motor Cycling related free bets and bonuses above are subject to change at any time. So please check the respective website to double check that they are valid as they can and do change at very short notice. 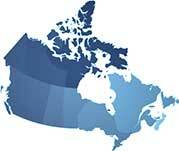 The first starting point that all Canadian bettors use are stats from past championships. But while these matter, they are not the only ones you should be looking at. Motorcycle races are never too predictable because there are many factors that affect the outcome. One mistake or a tire problem is all it takes to take a favorite down a few points on the ladder. That’s why the most important information you can have is about the track, the weather conditions, the gear, the team, and how familiar are your favorites with the course they’re competing on. If you’re new motorcycle race betting, the outright winner bets are your safest option until you get a real feel of the sport. And if you’re looking at more rewarding options, you can also take your chances on match up bets, which normally apply for both the race and qualifications, as well as handicaps bets. On the other hand, more unpredictable options like “to retire on the 1st lap” or guessing which lap will your driver first retire in are better left of, even if you know the race well. In short, go for bets which you can back up with logic and information, instead of betting on a hunch. The weather is one of the most crucial factors with motorcycle races as it can significantly affect the performance. For example, hot weather makes tires stick while cold weather is statistically more challenging for less experienced riders. Another thing to consider is the team, because some cyclists just have better pit stop crews than others. And speaking of team, it’s also good to note the strategy about second riders. Will they swap for a title win or will the first rider see the race all the way through? In short, any factor that might give one team advantage in that specific race is worth knowing. There is no such thing as a perfect strategy, but only ways to improve your odds of winning. With motor races, the first step would be to check the rankings, which can have a major effect on the outcome. Some drivers just might have more to risk than others, which is definitely a better motivational factor. All other relevant information should also be applied. And the second most important thing you can do is to make sure you get the most out of your bets. To do this, you should not only scour for the best odds you can find, but also stick to bets you really understand, if you plan to last longer. Finding value bets you feel comfortable with should be the foundation of your betting strategy. Throughout modern history, the top dogs of the motorcycle racing world were Yamaha, Honda, Suzuki, Aprilia, and MV Agusta, with Ducati and BMW also scoring well in top races. However, each motorcycle manufacturer has had different performance in different championships and no titles won are a guarantee for yet another success. But overall, Honda and Yamaha hold most top spots.